Teatro alla Scala Ballet Company, which dates back more than 200 years, will perform Rudolf Nureyev's adaptation of the Spanish classic tonight and this weekend. Boasting a history over 200 years, the Italy’s celebrated Teatro alla Scala Ballet Company will present its iconic production of “Don Quixote” at the Shanghai Grand Theater this weekend. Based on Miguel de Cervantes’ classic novel, the ballet performance was adapted by Rudolf Nureyev, probably the greatest male ballet dancer and an accomplished choreographer. To mark the 80th anniversary of his birth and the 25th of his death, Teatro all Scala returns to the Shanghai Grand Theater with the Nureyev’s interpretation of Don Quixote, 12 years after it debuted in Shanghai. Don Quixote is considered as one of the great classics of the ballet cannon. As early as in the 1970s, the novel had inspired many choreographers. But none of their productions could compete with the Marius Petipa’s which premiered in 1869. Devising a new choreography after Petipa, Nureyev restaged the entire work. In 1980, Nureyev played the role of Basilio, a barber, at Teatro alla Scala. Since then, Nureyev’s version became the repertoire of the ballet company and exactly the one that local audiences will enjoy this time. “Nureyev was a revolutionary in dance. He change the position of male dancers,” said Timofej Andrijashen, playing the leading role of Basilio. Thanks to Nureyev, the male dancer became the equal of the female in classical ballet. With highly difficult pirouettes and leaps, the ballet is extremely challenging for the dancers. 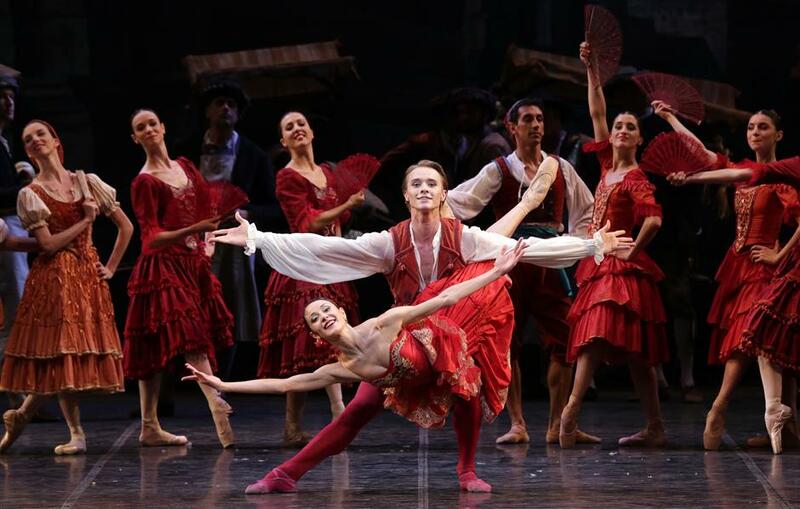 Although Don Quixote appears in all the three acts of the ballet drama, the protagonists shift to be Kitri and Basilio. The jovial ballet mainly features the romantic story of the young lovers. Intriguingly, Nicoletta Manni, acting as Kitri, and Andrijashen are a couple in reality. Audiences will get a glimpse of their love through their tacit cooperation in the ballet. On Saturday, the protagonists will be performed by Virna Toppi and Claudio Coviello. Set to Ludwig Minkus’ score, the music will be played by the Shanghai Opera Symphony Orchestra conducted by David Coleman. From dazzling sets to sparkling costumes and bright steps including gypsy dances and matadors, the performance will showcase an enchanting Spain. It promises an unforgettable ballet experience.